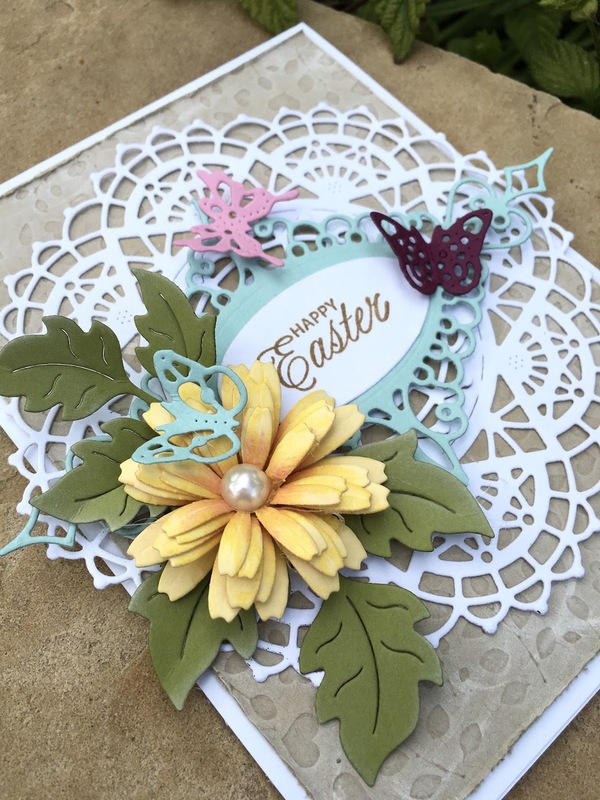 For the love of life: Cheery Lynn Designs: Happy Easter! Cheery Lynn Designs: Happy Easter! 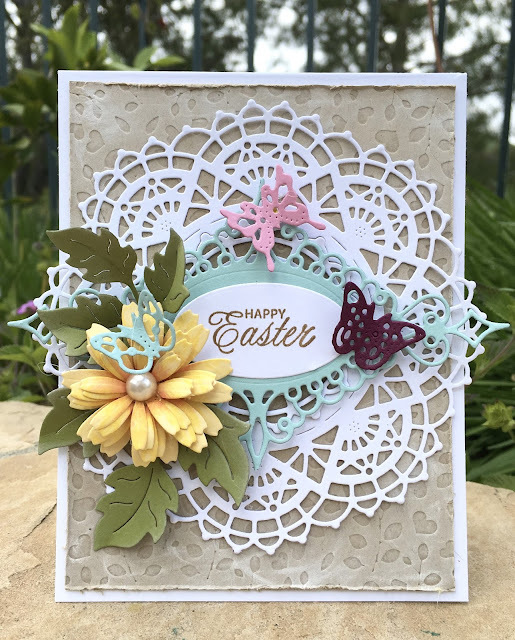 Hi there, today I am sharing a card using a beautiful Cheery Lynn Designs Dies doily in honor of Easter. To create this card I cut an A2 size card using white card stock. Next I cut a rectangle smaller than my card base and I embossed it using the Hearts and Rose Leaves Embossing Plate and went over it with white ink to show the design and added it to my card base. Next I die cut the gorgeous Nautical Wheeler Doily out f white card stock and placed it in the middle of my card. Next I die cut Tags #1 out of light blue card stock and added it on top of my doily. Than I die cut an Oval using white card stock and I stamped my sentiment using Brown Sugar ink. Next I die cut Flourish #14 out of green card stock and placed it on my doily element. Net I die cut a Shasta Daisy out of yellow card stock and inked up the middle of it and built my flower and put it on the leaves. I also added a pearl in the middle of the flower. As a final touch I die cut 3 Mini Butterflies and added them to my card. Thank you for stopping by and hope to see your card in the current challenge!